MobyMax and NWEA together allow a teacher to select the lessons that a student practices and fills in gaps that have been identified through NWEA testing. 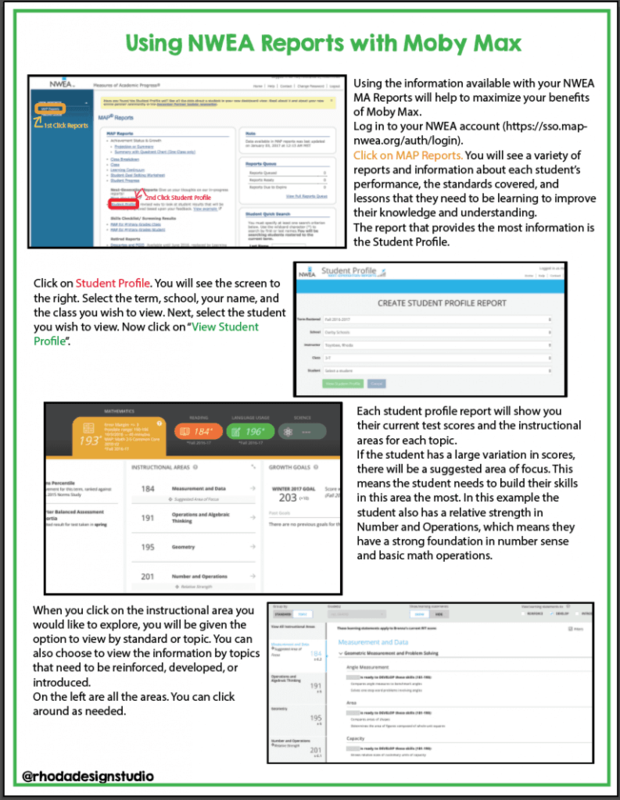 Using the two allows you to use reports (NWEA and MobyMax) to individualize student learning. Our district has been using NWEA Testing for years. This year we have started using MobyMax to increase our math scores and we are working to integrate our MAPs information to increase our student growth. MobyMax allows a teacher to select the lessons and topics that students practice. If your district also uses NWEA MAPs testing, you can use student reports to individualize their learning experience and start to formulate your NWEA prep strategies. Using test scores and suggested areas of focus, you can select the standards that are missing for your students and bring those to the top of their MobyMax lessons. In this series, I will discuss some of the things I like to incorporate into my 3rd/4th grade blended classroom. MobyMax has been shown to increase student scores and understanding by filling in gaps in their learning. Maybe they need more focus on their basic math facts. Maybe they missed the discussion about the different types of angles because they were sick for 3 days. With MobyMax, you can move any area that your students need extra work in, to the top of their lesson sequence so they get the lessons and skill practice when they need it. We use this mostly for MobyMax math because it is the most robust portion of MobyMax so far. Being able to assign by standards and individual math problems is a huge bonus for MAPS testing practice. The perfect blend of MobyMax and NWEA will help you differentiate your students’ instruction and growth. Using the information provided in the reports on the NWEA site will help you determine which lessons your students should be working on. It helps you determine their strengths and weaknesses and adjust their instruction accordingly. 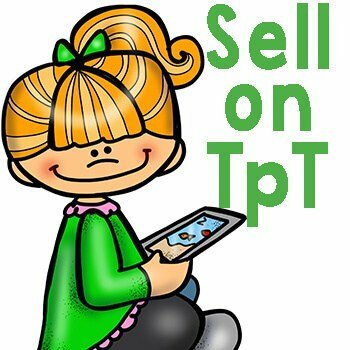 You can use it for individual instruction as well as your whole class instruction. If I notice the majority of my class is struggling with addition patterns, then I know I need to do a whole group lesson and a few days of practice activities that are centered around patterns. I will also find those lessons/standards on MobyMax and bump them to the top of my student’s lesson sequence. This way, they are all practicing the concept at their own level and I can see at a glance who needs more instruction and practice and who have mastered the concept. I like to use 3 different ways to assign math standards practice for my students. A combination of the 3 seems to work best to reach all my student’s needs and the content I need to cover throughout the school year. Assign the topic that we are working on as a whole group. If it’s time to start discussing rounding, then I will go through and assign the section that covers rounding in MobyMax, at grade level (unless I know a student is well behind and will only be frustrated). After they have worked through the topic, I can see at a glance who has mastered the concept and who needs to get more small group instruction and practice. Students who have mastered the concept are moved right into the curriculum that Moby has already determined they need to be working on next. Re-assign content that they have not passed. If a student is working through their grade level curriculum and they are not passing the concept with a 70% or higher, then we have a few small group lessons and then I reassign the content so they can practice and work through it again. Assign content that they are low in, based on their MAPs data. I start the year by having them do a placement test in MobyMax. Usually, this data is almost identical to their MAPs testing data. If there are places that they were low on MAPs that weren’t low on Moby then I will assign those content areas and move them to the top of the sequence to see if maybe it was just a bad testing day or they didn’t understand it at the time of the MAPs test but they are understanding the concept now (something finally clicked). I also love assigning Fact Fluency to help them gain a better understanding of their core number sense. This is a great way to get in some MAPs testing practice and some interactive math at the same time! 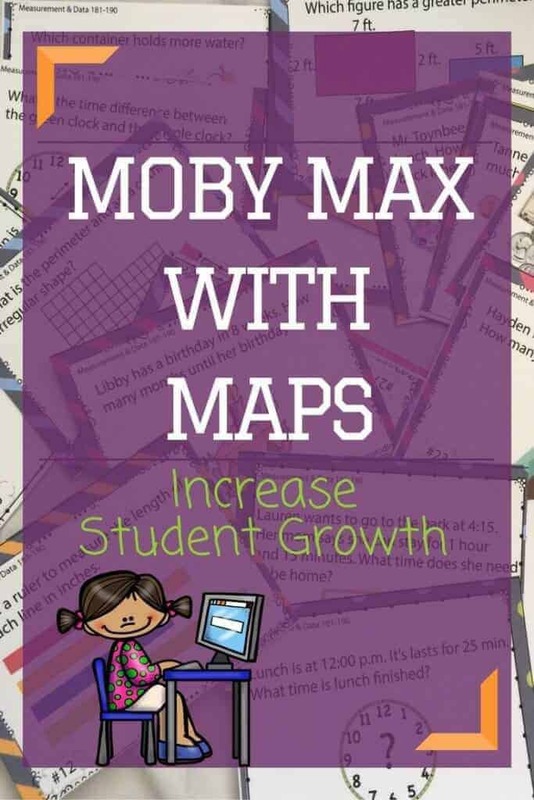 If you would like detailed instructions on how to use Moby Max with your MAPs reports, click on the image above or this link to download a step by step guide that I use when training other teachers in my district. This school year, I started my students on Moby for Math at the beginning of the year. We tested on NWEA about 6 weeks into school. Most of my class tested really well and were at benchmark. I used those fall results to start customizing my NWEA prep for each student’s content and individualized learning for the remainder of the year. After Christmas break, we took our winter benchmark tests. All but a couple of kids increased their scores by 3-4 points. An average increase for the school year is 6-10 points. We are on target. A few of them increased 7-11 points. That is HUGE!! I’m super excited about the progress we have made. I teach a 3/4 combo. Students and I also meet individually to discuss their reports. We will discuss NWEA reports briefly and then we set a goal for winter and later for spring test results. Most of our focus is on MobyMax math and reaching benchmark or higher. My students know where their levels are. I use Moby Max placement tests to show them their growth in between the NWEA tests. Individualizing each student’s learning with paper, pencil, and projects would be impossible. I wouldn’t have time to breath. With a few clicks of a button, I have students who are engaged, learning, and excited to see their learning continue. They come and ask me what level they are, what they can do to increase, and we have great conversations about math and the topics they are working on. If you would like to have access to exclusive items, sign up for my newsletter. 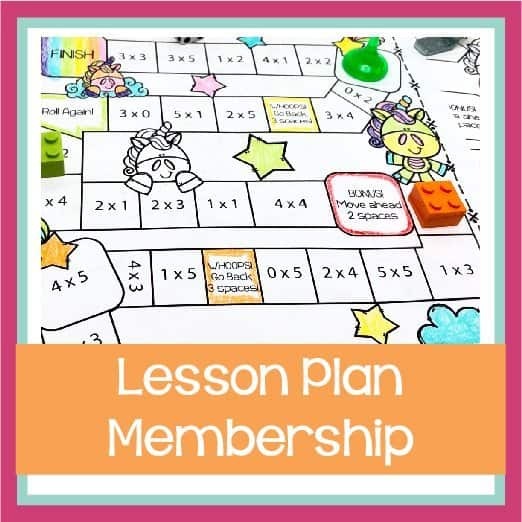 You will gain access to my Members Only Library where you can download the PDF that walks you through the process Moby/MAPS process and other resources (including a free set of task cards that are designed specifically for interventions)! This seems like a lot of work. Finding a way to use your MobyMax and NWEA scores together is beneficial for your students. It will help you drive your instruction in the classroom. 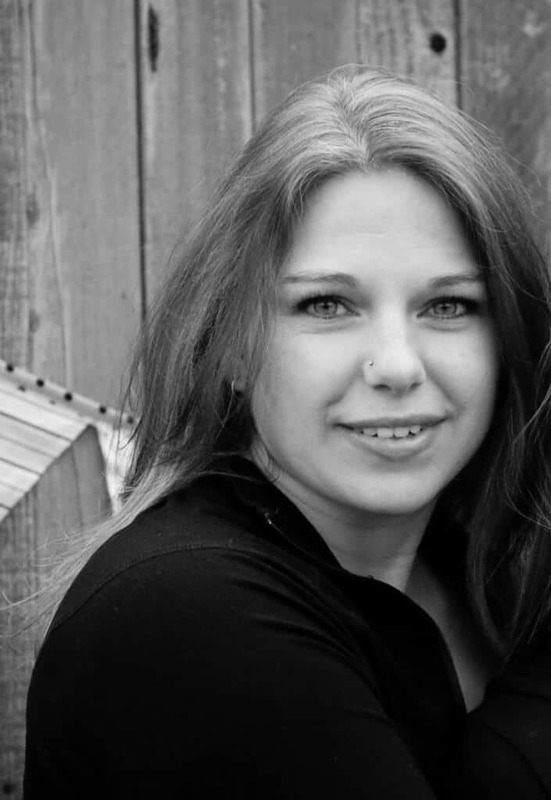 Interested in creating your own resources? You can learn the top 10 steps to help you learn how to get started.